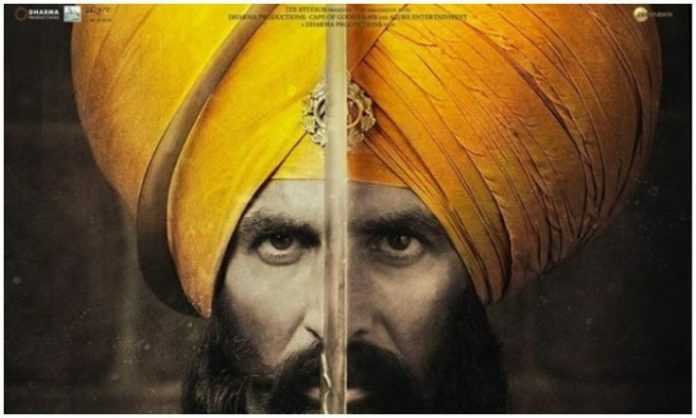 Kesari Total Lifetime Collection, Worldwide Box Office Verdict (Hit Or Flop): Kesari is Akshay Kumar’s first film to cross 150 crore mark in India. Released on 21st March 2019, Akshay Kumar‘s period war drama film Kesari has finally crossed 150 crore mark at the domestic box office. The total collection of the movie after 31 days stands at 153 crores. It is Akshay Kumar Kumar’s first Bollywood film to achieve this feat. Let’s have a look at Gold lifetime Box Office collection and verdict. Akshay Kumar starrer had a pretty good opening at the box office as it earned 21.06 crores on its first day (Holi) despite limited morning and noon shows. However, the movie failed to record big growth over the first weekend. With the collection of 78.07 crores, it becomes the highest opening weekend grosser of 2019. It continued its good run and ended the first week on a positive note with the collection of 105.86 crores. After a good extended opening week, the movie witnessed around a drop of around 70% in the collection in the second week. In the second week, Akshay Kumar film earned just 29.66 crores. 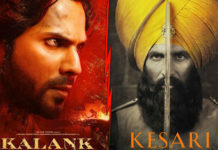 With the release of John Abraham’s RAW, Kesari witnessed a considerable drop in the collection in the third week. It earned just 11.69 crores in the third week. In the fourth weekend, the movie earned around 5 crores to take its total collection to 150+ crores. With the collection of 150+ crores, Kesari is Akshay Kumar’s highest grossing movie outside 2.0. 1) Second highest opening day grosser for Akshay Kumar. Last year release Gold earned 25.25 crores on the first day. 2) Highest opening day grosser of 2019 beating Gully Boy. 3) Highest opening weekend grosser of 2019 beating Gully Boy. 4) Highest opening week grosser of 2019 beating Gully Boy. 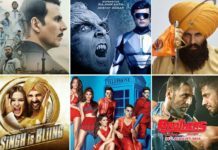 5) Third highest grosser of 2019 after Uri: The Surgical Strike and Total Dhamaal. First time in Indian history Spain actress playing the lead role in @paharganj the film. Am very exciting to watch this film on a big screen. Because this movie song very nice trailer also touching my heart. Note the date 12th April Must watch.